J.C. Knudson always knew he was different. But growing up in the small-town South during the 1960s and ’70s, he didn’t know what to make of his growing sense that he just wasn’t interested in the same thing as his friends—girls. Was something wrong with him? Could it change? And—most of all—were there others who felt the same as he did? 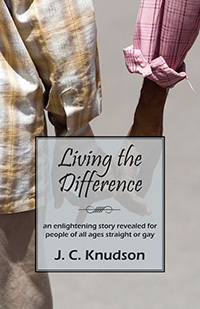 Living the Difference is the first in a remarkable coming-of-age series that chronicles Knudson’s quest to understand himself and make his way in the world as a proud gay man. This raw, intensely personal book details his early efforts to inhibit his desires through marriage; seek out a community of like-minded people; start a career free from discrimination; come out to his family and friends; and find true love, once and for all. But more than just one individual’s unique story, Living the Difference is required reading for anyone trying to understand the twentieth-century American gay experience—in a time before widespread media acceptance and anti-discrimination laws. This heartening yet frankly realistic memoir will also give hope and understanding to those coming to terms with the sexuality of themselves or their loved ones. And its message—of acceptance, tolerance, and understanding—provides good counsel no matter the time or place. 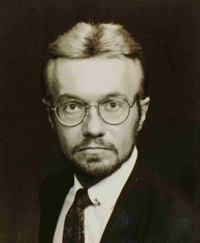 J.C. Knudson was raised in South Dakota and Oklahoma. An entrepreneur and small businessman, he holds a bachelor’s degree in accounting and business administration. Knudson and his ex-wife are the parents of two adopted sons; today, Knudson lives with his partner in Oklahoma City. Living the Difference is the first in a planned series. He blogs at www.thegaylyblogger.blogspot.com. © 2019 Espresso House Publishing & Distribution, LLC. All Rights Reserved.